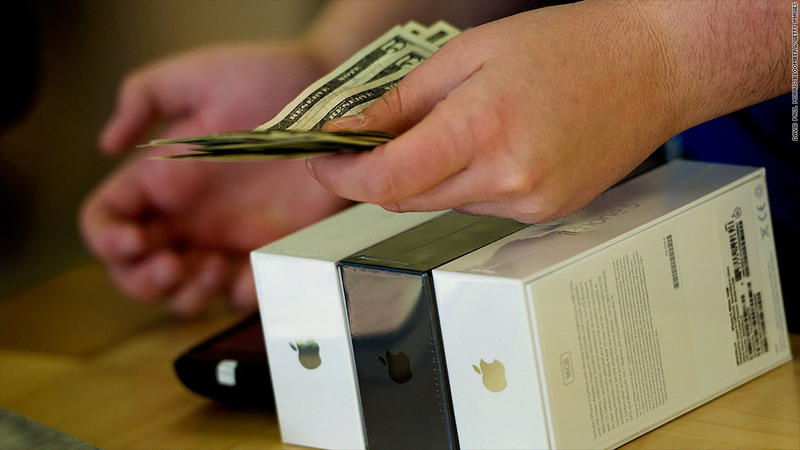 Strong sales of the iPhone5 last month helped drive September retail sales higher. Higher gas prices and strong car and electronics sales combined to lift retail sales in September, the government reported Monday. Overall retail sales rose 1.1%, according to the Census Bureau, little changed from the 1.2% rise in August and stronger than the increase forecast by analysts surveyed by Briefing.com. Much of the increased spending came from a 2.3% rise in spending at gas stations. Gas prices rose in much of the nation in September, especially in the Northeast. But it wasn't just the higher pump prices prompting consumers to spend more. Car sales in the month reached their highest level in more than four years, driven by pent-up demand for new cars, higher prices for used cars and greater access to financing for many buyers. The sector with the biggest increase in demand was electronics and appliance stores. 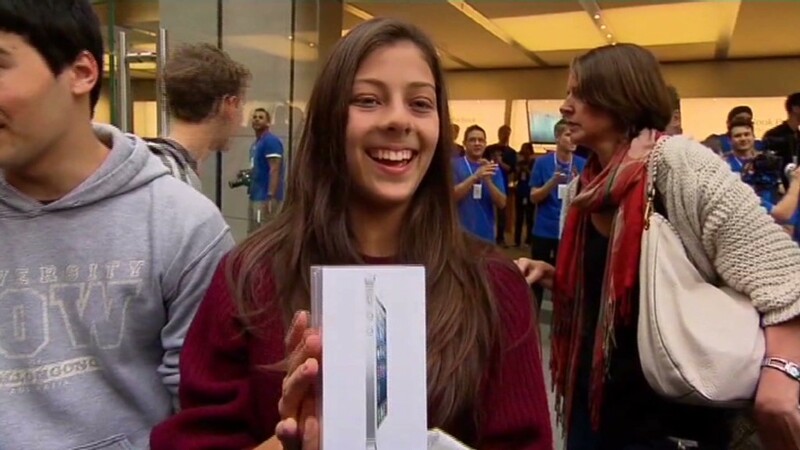 That may have been helped by the introduction of Apple (AAPL)'s new iPhone in the middle of the month. But while those sectors had the biggest jump in spending by consumers in the month, there were solid gains across other most other sectors as well. Only department stores and the catch-all miscellaneous store retailers suffered a decline from August spending levels. And almost all sectors report that spending is up 4% or more from year-ago levels, with department stores being one of the few sectors losing ground. "Underlying consumer spending remains decent, enough to remove some of the near-term downside risk to the economy," said Joseph LaVorgna, chief U.S. economist for Deutsche Bank. But other economists aren't sure the spending increases can last. "Low rates and easier credit are having a positive effect on the consumer, (but) without a firming in employment, however, the bounce in spending is likely to be temporary," said Steven Ricchiuto, Chief Economist, MSUSA. Retail sales are important because spending by consumers makes up almost three quarters of the nation's economic activity.